Homeopathy is a holistic system of medicine developed by Samuel Hahnemann, a German doctor who lived in the 18th century. When treating a patient, homeopathic practitioners look at their patient’s physical, emotional and mental characteristics, the full detail of their symptoms even those that are seemingly unrelated. The treatment is extremely tiny dilutions of a variety of substances usually in tablet or liquid form. The method of producing them is called potentization and renders these tablets harmless but effective with no undesirable side effects. The principle behind is that a substance that could cause the symptoms of an illness in a healthy person can cure the same symptoms when administered to the sick person in tiny homeopathic tablets stimulating the body to cure itself. The treatment is safe, there are no side effects. Homeopathic treatment helps with chronic conditions, acute issues, and even some emergency situations. 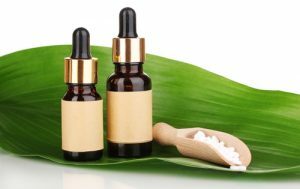 Coffee, menthol, eucalyptus and other strong smelling substances should not be used when taking homeopathic remedies. Also smoking is strongly discouraged during treatment. Samuel Hahnemann’s interest was triggered by his own observations in1796 when he was translating a medical book about cinchona a Peruvian bark used to treat malaria. The plant extract would cure symptoms similar to those it caused. He experimented on himself by taking the cinchona and developing symptoms of malaria. Then after he took a diluted dose of cinchona all of his symptoms disappeared. He conducted many more experiences performing them on himself and volunteers and all confirmed the main substance that caused the symptoms can be sued to treat the same symptom successfully using diluted and potentized form. Hahnemann called this the Law of Similars. When consulting with a homeopath you will find the practitioner will take a detailed history of not only your health but the health of your immediate family, your lifestyle, diet, exercise, likes, dislikes, etc. To find the best suited remedy the homeopath will use a book called a repertory, which lists all symptoms known and their remedies. The practitioner will make up a chart using each symptom after which it will become clear which remedies should be used for the patient. Please Book a Homeopathic Consultation with Jocey!